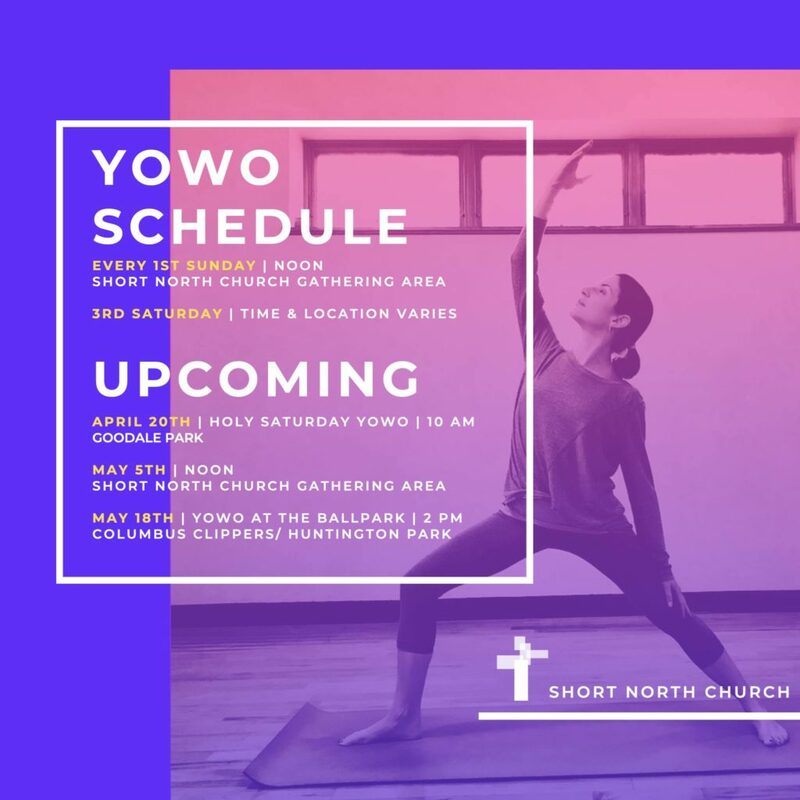 Quiet the spirit and fuel the soul while connecting with God through yoga, music, meditative and inspirational guidance and prayer. EVERY 1st SUNDAY OF THE MONTH AT NOON! YoWo is free but an offering is appreciated. You can give when you attend, electronically by clicking here, or by texting LOVEALIVE to 73256. We offer SPECIAL THEMED YoWo opportunities once a month, that are Free through online RSVP. *Note: Childcare and nursery options are not available at special themed YoWo events. 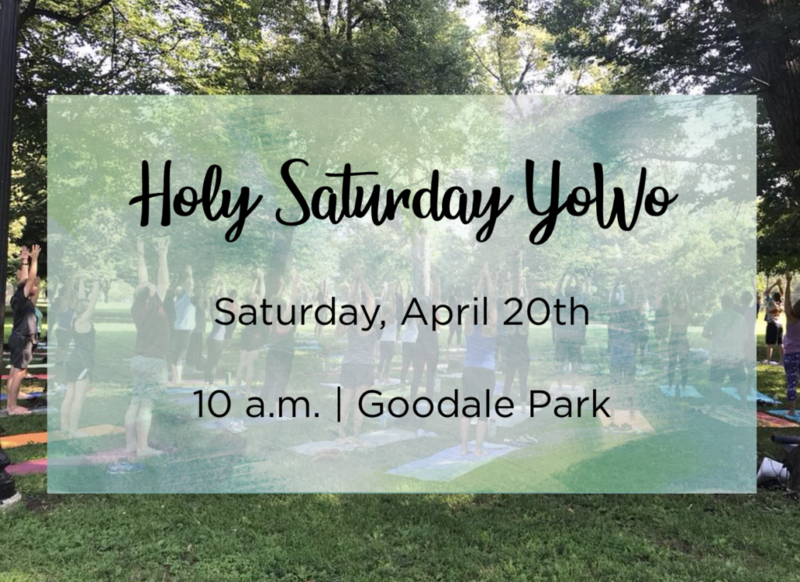 Bring your mat and join us at Goodale Park for YoWo In The Park (Holy Saturday) on Saturday, April 20th at 10 a.m. we will be celebrating the season of lent. RSVP HERE! This will be a slow. Hope-filled flow led by Pastor Amy Aspey. *Note: This class will be held at Goodale Park 120 W Goodale St, Columbus, OH 43215.We will be setting up adjacent to the tennis courts between Poplar Avenue and Dennison Avenue. Free parking is available in the Goodale Park lot, meters are available at your own expense. ALL YoWo experiences require a safety waiver, print one out and bring it with you or fill it in upon arrival. Click Here for YoWo Waiver.